It is believed that long ago Australia’s indigenous people on the eastern coast would feast on the seeds of a rainforest tree they called Kindal Kindal. In the 1850’s, the majestic beauty of these native evergreen rainforest trees captured the attention of Europeans and were named after prominent Australian scientist Dr. John McAdam. Although the first Australian “Macadamia Nut” plantation was established in the 1880’s, the incredible toughness of the shell meant that processing by early enthusiasts was slow and laborious. It was not until 1954 that a mechanised processing plant was established and commercial production became viable. Today the superb edible qualities of the macadamia are in demand all over the world. With modern mechanical harvesting, sophisticated nut cracking technologies and quality control systems by the seven major processors accredited to ISO9002, Australia has established a world wide reputation for the finest quality macadamias. Its not surprising that Australia grows the worlds finest macadamias. The industry is concentrated in the rich soil and high rainfall coastal areas that were once home to the traditional native species. In fact macadamias are the only Australian native plant to be successfully developed as a commercial food crop. With domestic and export markets approaching $100m it is one of Australia’s largest horticultural industries supplying over one third of the worlds macadamia nuts. 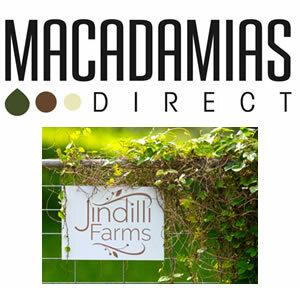 Australia’s macadamia growers like Macadamias International Australia, share a profound commitment to the quality of their product. Much of the industry’s progressive growth can be attributed to their active industry body the Australian Macadamia Society, driving substantial investment in scientific and consumer research and providing a valuable information service to its members and consumers.